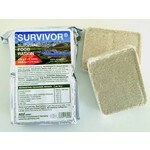 SURVIVOR Survival food ration 125g. Gegarandeerd minstens 20 jaar houdbaar vanaf de productiedatum. 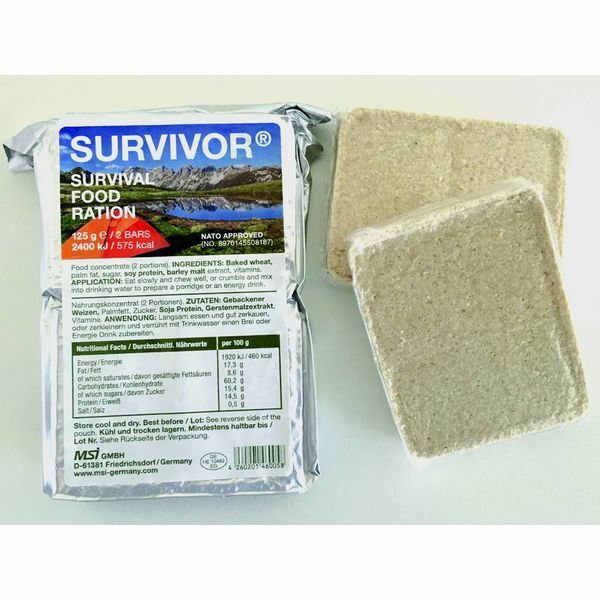 Emergency food ration, in robust, airtight and watertight packs, in a convenient, compact pocket size. NATO approved, NATO Stock Number 8970145508187. 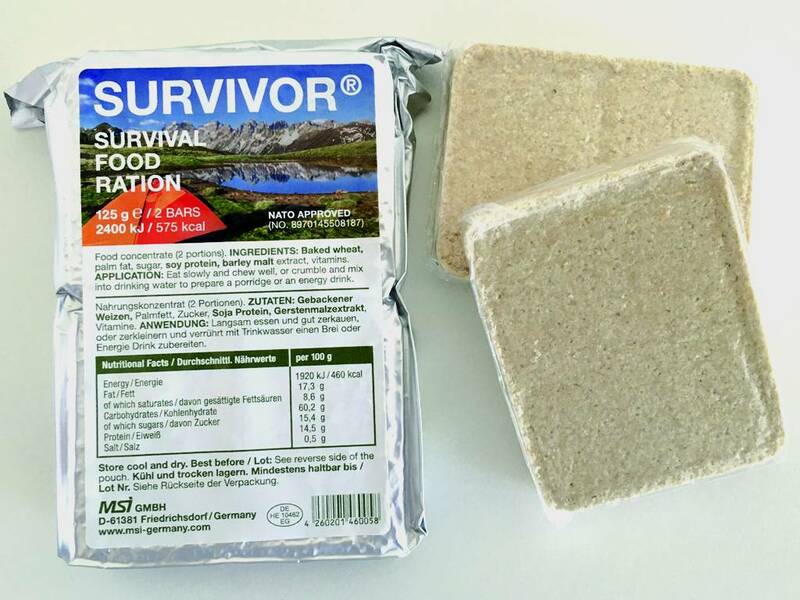 The further development of the survival rations of the German armed forces. Provides quick energy. Ideal for mountaineering and for any outdoor activity.